Dog in front of the fire, cosy slippers, feet on the table (I know…it’s sooo naughty! 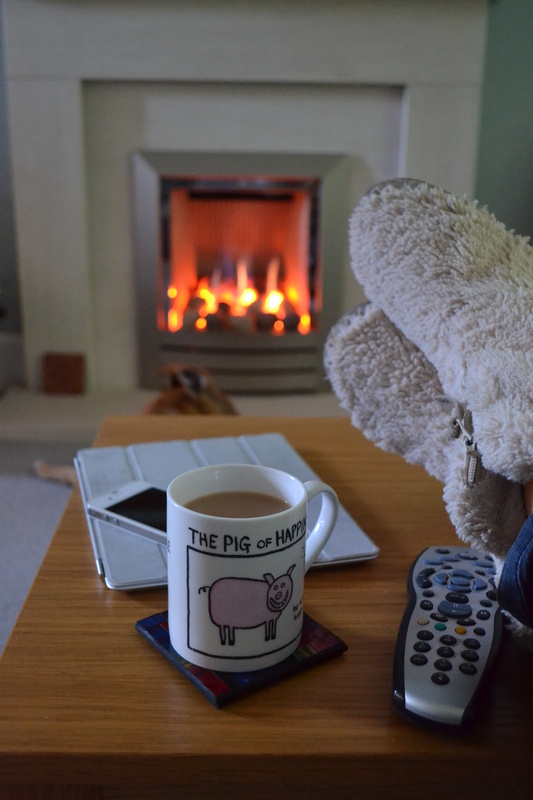 ), cup of tea in my favourite, Pig of Happiness, mug, ipad, iphone, and dubree (TV remote to you I expect, has always been dubree in my house) all to hand, must be home! This entry was posted in Photo Challenges, Uncategorized and tagged home, photo101. Bookmark the permalink. Lovely! Could have been mine too, except we don’t have a fireplace anymore. Thanks Rebekah. As long as theres somewhere to put your feet up!